FREE Online English Class with Nadia – You Are The Course Book Demo! This Saturday 25th January at 6pm CET Nadia is teaching a free online English class using You Are the Course Book Method. All learners are welcome! Categories: Classes, Courses, EFL, English, ESL, Events, recommended, Speaking, Teacher Training, Teaching, You Are The Course Book | Tags: class, EFL, English, ESL, ESOL, events, free, speaking, You Are The Course Book | Permalink. 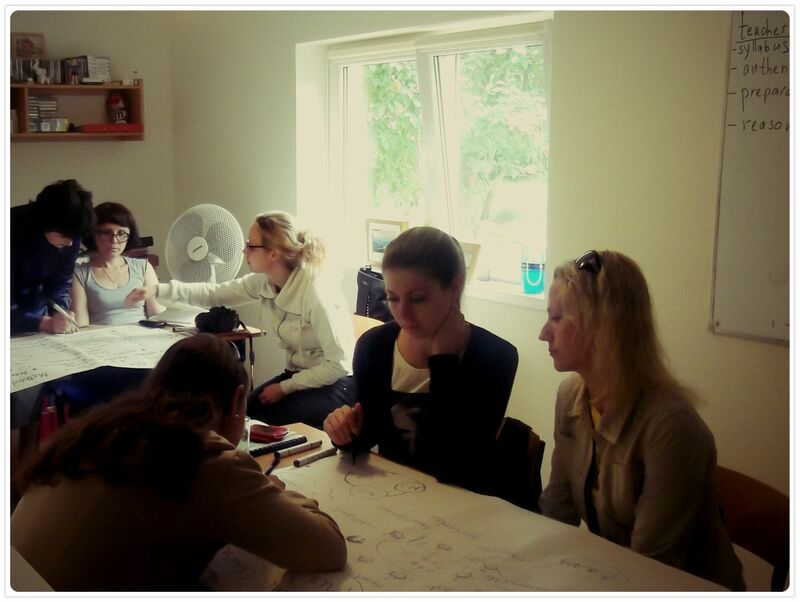 Teacher Training with Russian Teachers in Poland! 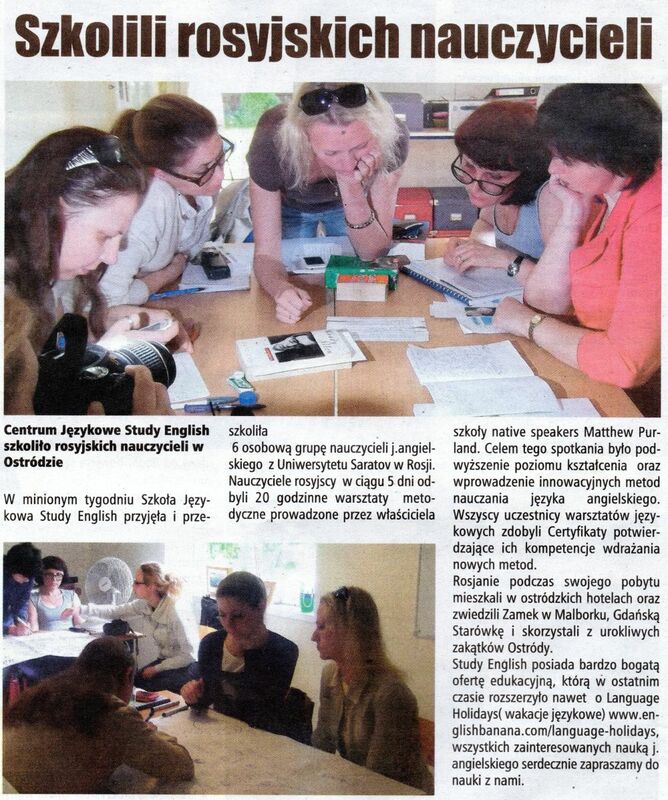 We were lucky enough to host a fantastic group of teachers from Saratov University recently at our school – Study English in Ostroda. They joined us for five nights for one of our language holidays. The visit was a great success with all of the teachers saying that they enjoyed it and learned many new techniques that they could take back to their university – and private – students in Russia. We even got an article in the local paper! 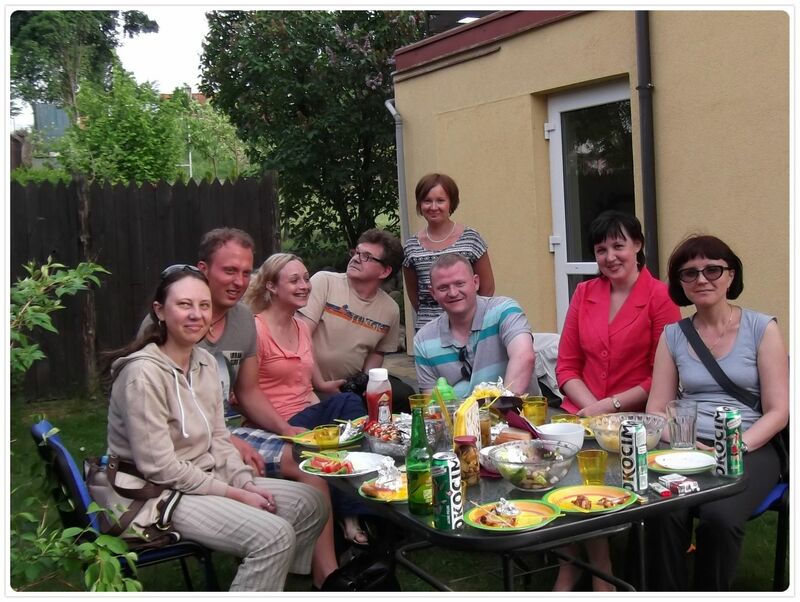 If you would like to join us for a language holiday – to improve your English language skills, or to brush up on your teaching practice – you are more than welcome to join us! Please click here to find out more about our offer. Categories: Classes, Courses, Events, Latest Projects, News, recommended, Speaking, summer school, Teacher Training, Teaching | Tags: EFL, English, ESL, ESOL, events, news, online lessons, practice, professional, pronunciation, teacher, teacher training | Permalink. Categories: Audio Lessons, Classes, Courses, Events, Latest Projects, News, Online Lessons, recommended, Teaching | Tags: classes, courses, EFL, English, ESL, ESOL, events, free, online lessons, teacher, video | Permalink. Categories: English Banana Trust, Events, Latest Projects, News | Tags: concert, English Banana Trust, events | Permalink. Categories: Online Lessons, Teaching, Video | Tags: advice, English, ESL, events, free, online lessons, teacher, video | Permalink.